Apple has announced a smartwatch for the new series as well as the new series of iPhones. On September 12, Apple announced the launch of a new SmartWatch series in California. Apple said in their notification, the new smartwatch has been designed very well. It will be helpful in providing health care and health-related information as well as communication. It has added new display, electrocardiogram and fruit detection technology. 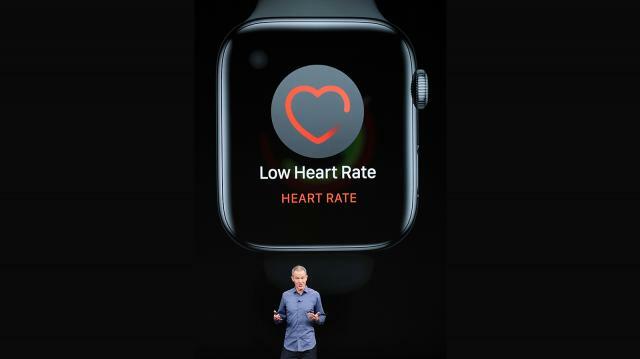 Apple claims that the advantage of the SmartWatch of Series 4 can be done in 30 seconds by the ECG report. It's pretty slim than the previous Apple Watch 3. The smartwatch has the Haptic Feedback Digital Button. Its speaker will give Apple Watch series 3 to 50 percent more words. As a result, this will not be difficult to talk or listen to music by Apple Watch. The device's back panel is made of black ceramic and crystal. There are dual-core 64-bit S4 chipset processors, which are more powerful than the previous watch processors. Optical heart sensor has been given. There are so many new UI, Panic and GPS services. Operating System Watch OS 5 The price has started from 399 USD.